Music Man Blog: CD Review: The Doug MacDonald Quartet "Organisims"
CD Review: The Doug MacDonald Quartet "Organisims"
Master Guitarist, Composer, Band Leader and Arranger, Doug MacDonald has released his latest musical project, "Organisms" performed by The Doug MacDonald Quartet. This new CD is the thirteenth CD Doug has released and the third organ project that he performs as not only the band leader, but as a Composer and Arranger. 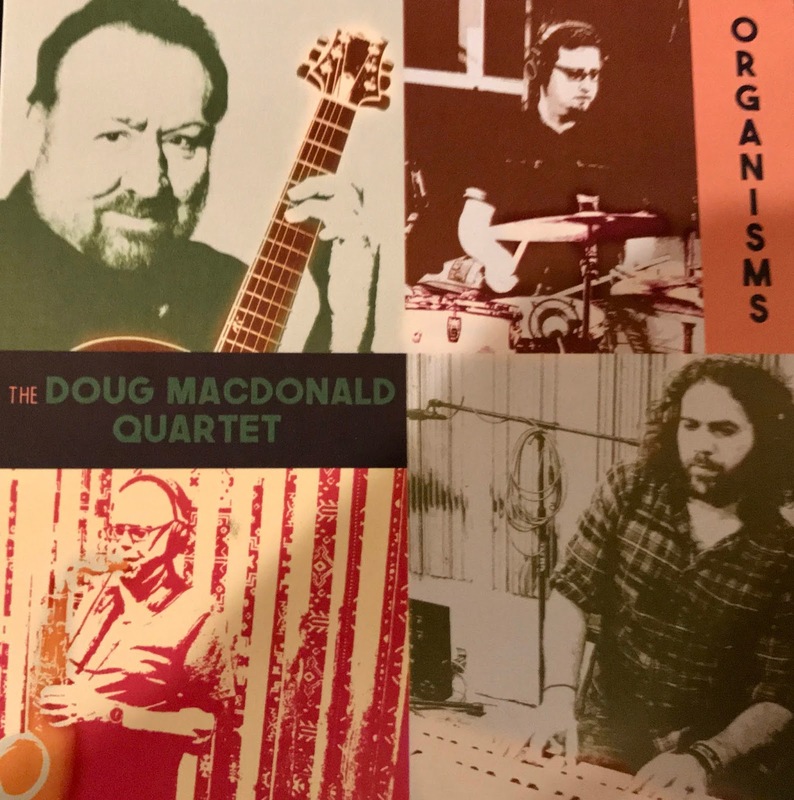 Doug has brought together 3 highly talented Jazz musicians on this CD and has included a wonderful mix of classic tunes and three original composition he composed. On Tenor is the highly sought after Sax player, Bob Sheppard. I am sure Bob needs no introduction to anyone who loves the West Coast Jazz scene. He is one of the best Tenor players on the Jazz scene today. Carey Frank who is on the Hammond B3 Organ and Ben Scholz on Drums are relatively younger in Jazz experience compared to Bob and Doug but as you will hear, are all up to the task. "Organisms" presents a wonderful refreshing sound of younger Jazz musicians blending perfectly with more experienced players. Doug MacDonald lives in Southern California but Doug is in so much demand that his gigs take him all over the United States and the world. 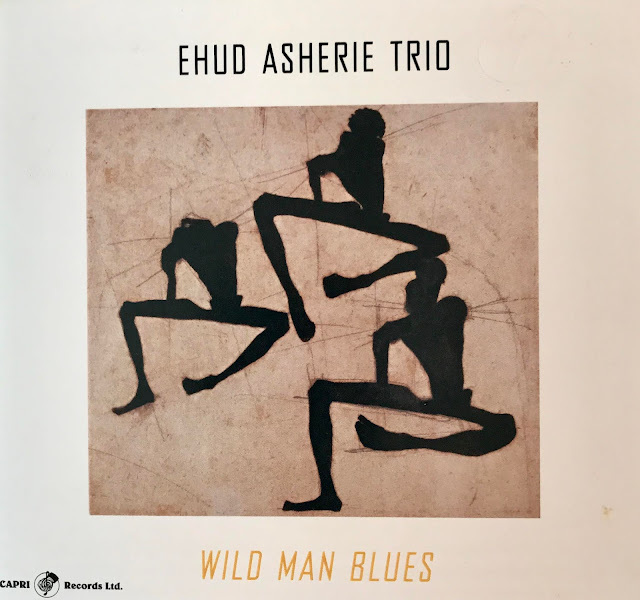 He is a very serious and skilled musician and every waking hour is dedicated to creating and performing American Jazz. Doug has performed live with some of the best musicians in the world including Stan Getz, George Shearing, Joe Williams, Sarah Vaughan, Buddy Rich, Scott Hamilton, Ray Charles, Jack Sheldon, Hank Jones and the Clayton/Hamilton Jazz Orchestra just to name a few! For those readers that live in the California Coachella Valley area, Doug needs no introduction because he performs in many different venues in the area every week. Doug also makes time to broadcast a weekly Jazz radio show on KAJI 97.3 FM on Mondays from 2 to 4 pm unless he is traveling. KAJI is a 24-hour non-profit Jazz stations in Palm Desert, CA. You can hear KAJI anywhere you are by computer by opening this link: WWW.AmJazzIn.Org. 1. "It's You Or No One"
2. "Jazz For All Occasions"
4. "Nina Never Knew/Indian Summer"
I have attached a "YouTube" of The Doug MacDonald Quartet playing "Centerpiece" from their recent CD release, "Organisims". I also attached a "YouTube" of the Quartet playing an original composition Doug wrote entitled "Jazz For All Occasions" I know you will enjoy listening to every song on this wonderful new CD! CD Review: Nick Grinder "Farallon"